Mr. Trump’s comments came as American officials were in Beijing for a week of talks with Chinese officials to try to resolve a trade war that has begun to inflict economic damage on both sides of the Pacific. The two countries are trying to work out significant differences ahead of the March 2 deadline, when, the United States has said, it will increase tariffs on $200 billion worth of Chinese goods to 25 percent from 10 percent. 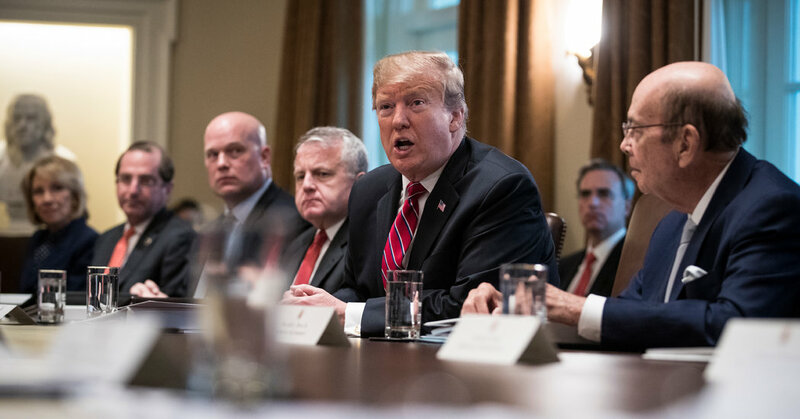 But with many of the biggest issues unresolved and the deadline drawing near, Mr. Trump appeared ready to give both sides more time to negotiate. And he again suggested that he and Mr. Xi may ultimately needed to iron out the remaining differences before a final deal was reached. But steep challenges remain to striking an agreement that addresses the administration’s primary concerns, including China’s practice of forcing American companies to hand over valuable technology and restricting access to its market. Mr. Lighthizer, who briefed senators last week, told lawmakers that one of the biggest issues was ensuring that China followed through with whatever commitments it made. Senators told Mr. Lighthizer that they wanted the text of any agreement or memo of understanding with China to be made public. Mr. Trump on Tuesday again portrayed China’s economic weakness as the United States’ strength, saying it was in China’s interest to make a deal. The United States, he said, could benefit by retaining tariffs on $250 billion worth of Chinese goods, and he again inaccurately suggested that China was paying the levies.